Michaela Swales, PhD, is a Consultant Clinical Psychologist with BCUHB and Reader in Clinical Psychology on the North Wales Clinical Psychology Programme, School of Psychology, Bangor University. She trained in Dialectical Behaviour Therapy in Seattle in 1994 / 95 with Marsha Linehan and for twenty years ran a clinical programme for suicidal young people in an inpatient service. After completing specialist supervision in the DBT, she became one of the founder members of the UK DBT Training Team in 1997 and subsequently Director of the Training Team in 2002. She has trained more than a thousand professionals in DBT, seeding over 400 programmes, in both the UK and further afield. She is the author with Heidi Heard PhD of Dialectical Behaviour Therapy: Distinctive Features published in 2009 by Routledge and Changing Behavior in DBT: Problem-Solving in Action published by Guilford in November 2015. She, along with Dr Heard, won the Cindy Sanderson Outstanding Educator Award at the International Society for the Improvement and Training of DBT (ISIT-DBT) at their conference in New York in 2009. Her research interests are primarily in the effective implementation of evidence-based psychological therapies in routine clinical practice. She is co-Principal Investigator on a multi-site RCT investigating the efficacy of DBT for treatment resistant depression. 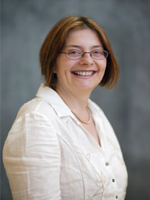 Dr. Swales was a member of the guideline development groups (GDG) that, on behalf of the National Institute of Health and Care Excellence (NICE), wrote the guidelines on the Treatment and Management of Borderline Personality Disorder (2009) and the Longer-Term Management of Self-Harm (2011). Dr. Swales is also participating in the Working Group on Classification of Personality Disorders, which reports to the World Health Organisation (WHO) International Advisory Group for the Revision of ICD-10 Mental and Behavioural Disorders.